We hope everyone had a great weekend!! 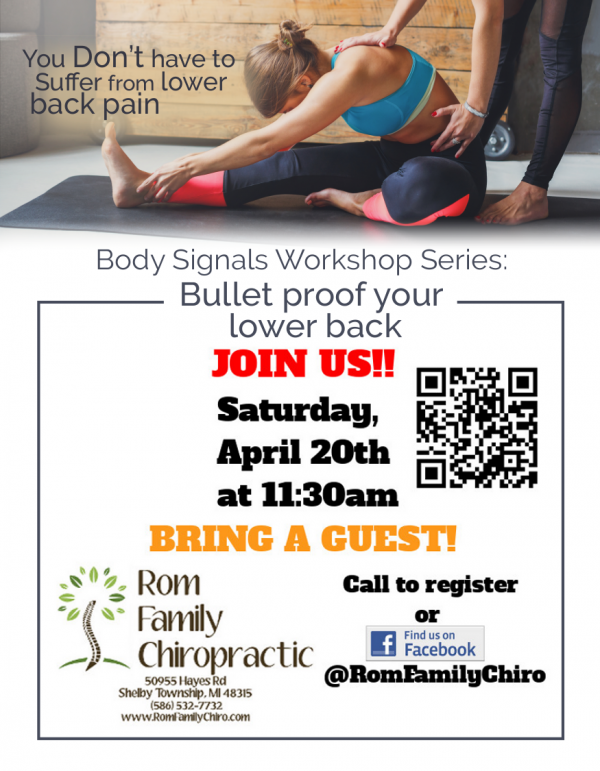 Here are the links from our Rom Family Chiropractic Facebook page and all the good stuff we posted last week! Yikes–I wish this was an April Fool’s Day joke, but it isn’t!! Be sure to put this on your health “To Don’t” list!! Back surgery CREATES trauma to the spine. Yes, there are a small percentage of people who can only experience relief through a surgical procedure. For over 95% of people suffering from back pain, conservative non-pharmacologic care is not only the best choice but also the standard of care endorsed by most major healthcare organizations. What a great way to connect with world and remind us that humans are part of the ecosystem!! Activity levels DURING THE DAY are key for getting BETTER SLEEP AT NIGHT. You won’t find anything more natural or cost-effective! Chiropractors certainly don’t ‘treat’ depression, but we do review how you eat, move, think & sleep, which can help optimize and amplify the body’s natural ability to function–all without drugs or surgery.